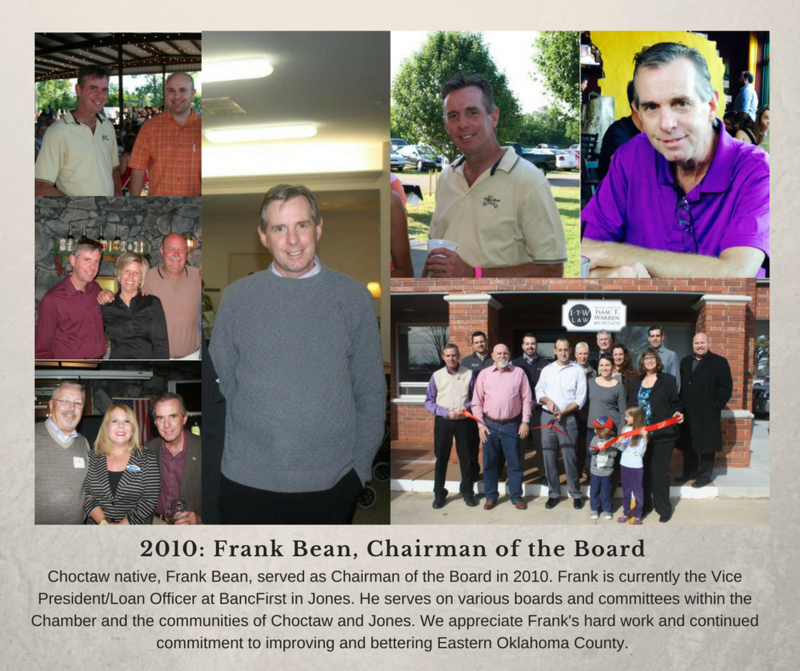 Frank Bean, Vice President/Loan Office with BancFirst in Jones, served as the Chairman of the Board in 2010. Frank is a Choctaw native who has spent a lifetime serving his hometown. He currently serves on various boards and committees within the Chamber and with the cities of Choctaw and Jones. We appreciate Frank’s hard work and continued commitment to improving and bettering Eastern Oklahoma County. He’s always served with pride and excellence. Thank you, Frank, for all you do for us.